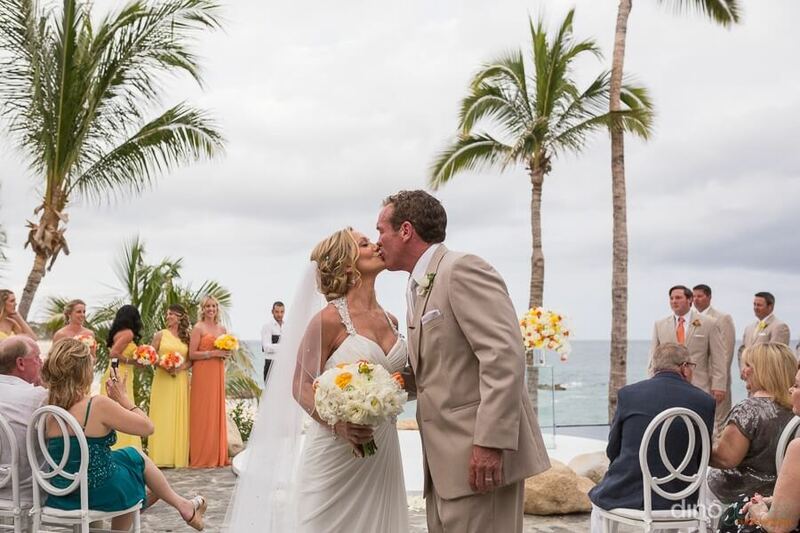 If there’s one thing we love about destination weddings in Cabo, it’s the opportunity to style beautiful brides in the most breathtaking location on earth! And when brides choose to have their wedding at one of Cabo’s luxurious private villas, we just can’t think of anything more perfect! Gorgeous Cabo bride Celine got married this past April at the beachfront Villa Captiva, a cabovillas.com property unlike any other. 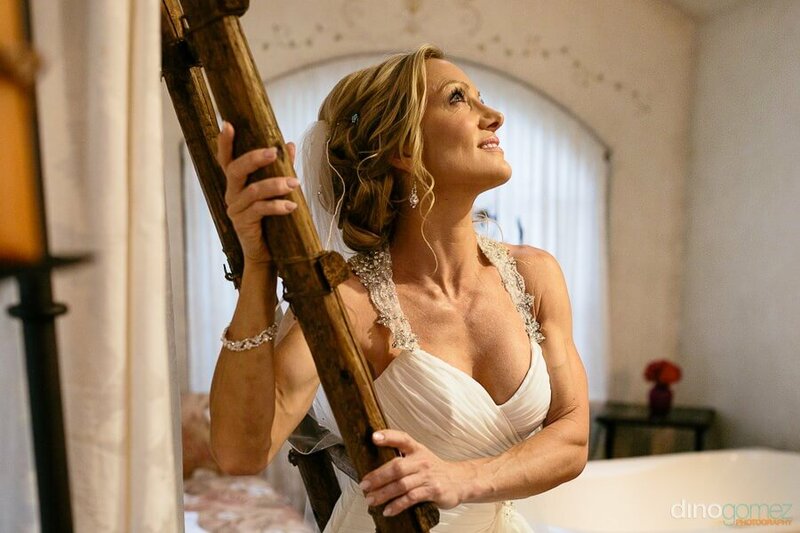 The hacienda-style villa property was the ideal backdrop for Celine’s classic wedding look. We styled this French bride’s hair in a timeless up-do with a few soft curls framing her delicate features. Celine’s make-up featured a perfect fringe of dark lashes, a pop of pink on the eyelids and a light rose lip. 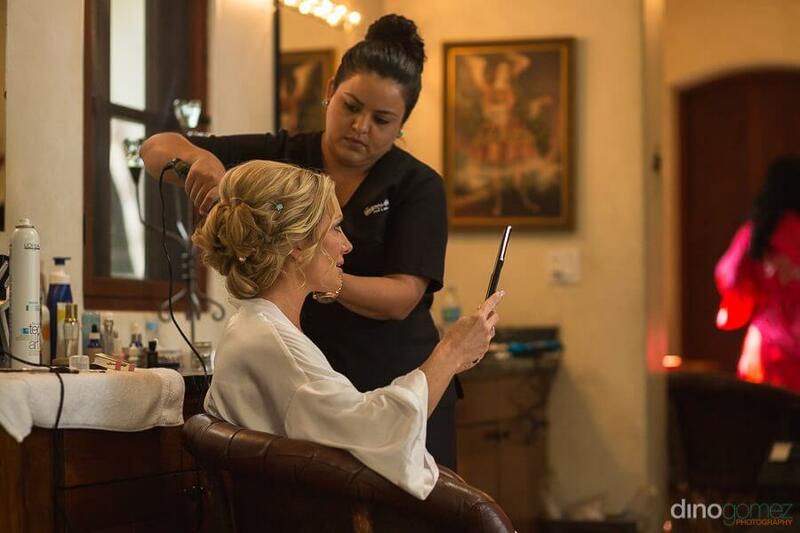 Special thanks to Amy Abbott for making our team of stylists and make-up artists a part of this fabulous wedding! This entry was posted in Cabo Bridal Hair and Makeup and tagged Amy Abbott Events, beach wedding hair, beach wedding in Cabo, beach wedding makeup, bridal updo, Cabo bridal hair and makeup, Cabo bridal salon, Cabo Destination Wedding, Cabo villa wedding, Cabo wedding hair and makeup, Cabo wedding hair stylist, Cabo wedding makeup artist, classic wedding makeup, Dino Gomez photography, French wedding in Cabo, Mexico destination wedding, natural bridal makeup, natural wedding makeup, pink wedding makeup, Suzanne Morel, Villa Cielito Cabo.